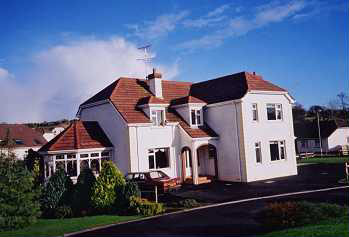 Enniskillen, County Fermanagh Bed and Breakfasts. Compare latest rates and Live availability for all your favourite places and places you have always wanted to go using our new My Shortlist feature. Click + to add to your Shortlist. Bed and Breakfasts in Enniskillen, County Fermanagh for 1 night from Sun Apr 21, 2019 to Mon Apr 22, 2019 within 10 miles, in an Average Nightly price range of £1 to £200. Situated in the town of Enniskillen, in County Fermanagh, The Enniskillen Hotel offers a restaurant and bar, along with free Wi-Fi and free parking. The property is 10 minutes' walk from Brewster Park Football Stadium. The luxury rooms in the Enniskillen Hotel boast a flat-screen TV and tea/coffee making facilities. The en-suite bathrooms feature complimentary toiletries and a hairdryer. The budget style accommodation in the Enniskillen Motel, situated directly adjacent to the Enniskillen Hotel, offers a flat-screen TV and free WiFi in each room. The en-suite bathrooms offer a rainfall shower and toiletries. In the mornings, The Enniskillen Hotel serves a full Irish breakfast, whilst the Enniskillen Motel offers a continental breakfast-to-go. Wildes lounge serves traditional favourites daily. Dishes are prepared using local and seasonal produce. Guests can dine on a Friday or Saturday night in the surroundings of Becketts Dining Room, which offers a 6-course fine-dining experience. Enniskillen is home to Ardhowen Theatre, which is just a 10-minute walk from The Enniskillen Hotel and Motel. Enniskillen Golf Course is 1 mile away, while the Nick Faldo Lough Erne Golf Course is a 10-minute drive. The Cuilcagh Boardwalk is only 25 minutes' drive away. Nestled right on the shores of Upper Lough Erne. In the style of a cedar wood building with a homely rustic interior the Carrybridge Lakeside Lodge offers comfortable affordable accommodation and relaxed Dining. Fashioned on Pub Gastro Food our menu is tailored to serve all tastes offering hearty home cooked dishes alongside more electic dishes created by our chefs. Sundays are for families here at carry and we serve our ever popular Sunday Carvery .....no one ever leaves hungry. br / br / br / br / Seasonal by nature of its location a mecca in the summer for boaters and locals looking for a taste of the med whilst a warm wood burning stove is the attraction as the nights draw in. br / br / br / br / Whatever the time of year a Warm Welcome and hospitality that goes that little bit extra awaits you at the Carrybridge Lakeside Lodge. br / br / Perfect location for relaxaction good food hospitality boating & fishing on the shores of upper lough erne. br / br / Quality in a relaxed atmosphere. br / br / Live Music every weekend. Abocurragh farmhouse bed and breakfast offers 4-star accommodation on a dairy farm, between the Cuilcagh and Benaughlin mountains. It has free Wi-Fi, mouth-watering breakfasts and cottage-style, stylish bedrooms. In the morning, guests can enjoy a traditional Irish cooked breakfast with local produce, including eggs from the resident hens. There is also home-made bread, preserve and muesli. The bedrooms are all en suite with a power shower. They all come with a flat-screen TV, tea/coffee making facilities and views of the Fermanagh countryside. The living room, which boasts a fireplace and 2 large sofas, also has several easy chairs and a selection of booklets and magazines. Guests can also wander around the mature gardens. Set in picturesque countryside with panoramic views and nestling just off the main A4 Sligo Road, Abocurragh farmhouse is a 25-minute drive from the Marble Arch Caves and a 15-minute drive from Florencecourt House and the town of Enniskillen. Located in Fermanagh, Arch House features B&B accommodation in Enniskillen with free Wi-Fi. It offers an Ã -la-carte restaurant, garden and children's playground. Extras include BBQ facilities and a shared lounge. The guest rooms at Arch house come with a patio with garden and mountain views, a TV and an electric kettle. They also offer en suite bathrooms with a shower, bathrobe and hairdryer. Every morning, guests will enjoy scrambled eggs, bacon, smoked salmon and pancakes with maple syrup in their home-cooked breakfast. Marble Arch Caves are just an 8-minute drive away. Guests can also enjoy Florence Court Forest just by the property or walk 4 minutes to Florence Court House. Enniskillen Airport is just 12.2 miles away. The elegant Westville Hotel offers luxury facilities less than half a mile of Enniskillen town centre. It has free Wi-Fi, free parking and live entertainment on Friday and Saturday nights. The Westville Hotel has tastefully decorated, stylish, spacious bedrooms. Rooms feature an en suite bathroom and have free tea/coffee and a multi-channel TV. Ironing facilities are also available. The WV Bar has a tasty all-day menu, and the award-winning Terrace Restaurant is Friday and Saturday nights and provides full Irish breakfast each morning. Set amongst the striking Fermanagh Lakelands and less than 13 miles from the stunning Marble Arch Caves. The Enniskillen Castle can be reached in less than 5 minutes by car. Located in the heart of the historic town of Enniskillen an area considered to be a gateway to the West of Ireland The Westville is an elegant and sophisticated 28-bedroom boutique-style hotel renowned for first class facilities service and enthusiasm. The Westville Hotel Enniskillen opened its doors in 2008 and has fast become the hotel of choice in the area enticing a variety of guests from those who use the hotel as a base to explore the beautiful area to discerning business people who make use of the conferencing facilities from couple s on romantic breaks to groups of golfer s and fishermen to those who get married in the hotel. The luxuriously decorated Westville Hotel also boasts the top notch Terrace Restaurant winner of The Lonely Planet Guide Best Place to Dine in Enniskillen 2010 as well as the stylish WV Bar for a more informal dining experience with an extensive cocktail list and live music every Friday and Saturday night. Set in the centre of the glorious Fermanagh Lakelands the Westville with its large car park is an ideal base for exploring some of Ireland s most famous and picturesque countryside and attractions including the Marble Arch Caves Enniskillen Castle Belleek Pottery the Fermanagh lakes the charming villages and scenery of Donegal and much more. So whether your trip is for business or leisure the staff and management of The Westville Hotel Enniskillen looks forward extending you a warm Fermanagh welcome and ensuring your stay is as enjoyable and comfortable as possible. We ask our guests to state in special requirements the requirement for twin or double beds in order to prepare room for arrival all our standard rooms can sleep 1 additional child and requests must be made at time of booking. Children 0 -3 are complimentry. Children 3-5 will be charged at a standard cost of �20 per night Bed & breakfast for additional camp beds. In its own grounds on the edge of Enniskillen, the Belmore Court & Motel offers free parking and free WiFi, with a choice of modern hotel-style rooms and self-catering apartments. The Belmore Court & Motel offers a range of accommodation, including 30 modern superior and executive en suite rooms. Stylish luxurious and spacious, all of these rooms are finished to the highest standards. All rooms have en suite bathrooms, multi-channel TVs, telephones, and a mini-kitchen or tea/coffee making facilities. A buffet breakfast is served each morning complete with cooked items, pastries, bread, cereals, fruit, juice, tea and coffee. Located beside Belmore Court, the Belmore Motel is an original building dating back to the 1950s. Quaint and stylish, the motel consists of 8 town houses that have been tastefully converted into high-quality one- and two-bedroom apartments. Guests can also make use of all of the facilities of Belmore Court. Most of the apartments have mini-kitchens and the rest have tea/coffee making facilities. With a location overlooking Inismore Island, Corrigans Shore offers guest house accommodation in a peaceful countryside location. Free parking is available on site, and free WiFi is accessible throughout. Corrigans Shore is set over 2 floors and all guest rooms are en suite with complimentary toiletries. Rooms come complete with flat-screen TVs, crisp linen and access to ironing facilities. A comprehensive breakfast is included in the room rate, and options include cooked items, pancakes, French Toast, fresh fruits and juices. Local pubs and restaurants are found within a 10-minute drive, whilst the town of Enniskillen is just 7 miles away. The waters of Lough Erne located practically on the property's doorstep and offers fishing opportunities. Several golf courses are located in the area, whilst the Marble Arch Caves are 12 miles away. Just 3 miles from the historic island town of Enniskillen, this 4-star B&B has 15 fishing piers within 300 metres. There is free Wi-Fi and free parking on site, and it has picturesque views of Lough Erne. Buttermilk pancakes, Aga-cooked kippers, and cinnamon French toast with maple syrup feature on the extensive breakfast menu at Willowbank House. You can also enjoy home-cooked roast ham, and Fermanagh Black Bacon, which undergoes an ancient 3-month form of curing. Rooms are traditionally furnished, and each benefits from a TV and tea and coffee making facilities. Each also has its own en suite bathroom with free toiletries provided. The Marble Arch Caves are nearby, and guests at Willowbank House can also visit Enniskillen Castle and Devenish Island. Overlooking Lough MacNean, Customs House Country Inn is in the heart of the Irish Lake District. The hotel features an award-winning restaurant, stylish wine bar, and boutique bedrooms with free Wi-Fi. The bedrooms at Customs House each have a luxury bathroom, featuring handmade tiles and Italian marble. All rooms have a TV and tea/coffee facilities, and some have cosy seating areas or scenic views. Fiddlesticks Restaurant offers fine dining by candlelight, and features impressive lough views. The elegant wine bar offers international wines and gourmet snacks, and generous breakfasts are available daily. With a picturesque location in Belcoo, Customs House Country Inn is a 15-minute drive from Marble Arch Caves. There is free on-site parking, and Enniskillen is a 20-minute drive away, next to the Lower Loch Erne. The Customs House Country Inn is a real Gateway to the West with all its wonders set in the Idyllic village of Belcoo overlooking Lough McNean and the Famous Hanging Rock. This superb family run facility sits snugly at the foot of Cuilcagh Mountain where it meets the waters of McNean. History flows as smoothly as the MacNean waters which keep flowing through this Inn with its own well. br / br / br / br / Marble Arch Caves Marlbank Scenic Route Cuilcagh Mountain Park Florencecourt House (Nat. Trust) Cladagh glen and Belleek Pottery are all closely situated around this panoramic setting. The scenic location of the Customs House is unrivalled. Set within 2.1 km of Enniskillen Castle in Enniskillen, Drumcoo Guest House features accommodation with seating area. Complimentary WiFi is offered. The bed and breakfast offers a Full English/Irish or vegetarian breakfast. Guests can also relax in the shared lounge area. City of Derry Airport is 94 km away. Prepare to be greeted with sheer beauty and style at the Killyhevlin Lakeside Hotel & Chalets idyllically set on the shores of scenic Lough Erne. This lakeside hotel features 4-star accommodation Elemis Spa and Health Club. Surrounded by private grounds and lakeside gardens this family run hotel is located only 1km from the historic town of Enniskillen County Fermanagh considered to be the gateway to the West of Ireland. Killyhevlin Lakeside Hotel offers 71 spacious bedrooms which include a range of luxury suites. All of the hotel s accommodation is designed and decorated to an exceptionally high standard. Hotel guests have complimentary use of the Killyhevlin Health Club which features an indoor swimming pool outdoor hottub hydrotherapy area sauna steam room and Technogym fitness suite. The Elemis Spa is also available for guests that want to go that one step further. Alleviate stresses and strains as you contemplate treatments such as the Elemis Frangipani Body Nourish Wrap or Jessica Zen Spa Pedicure. After your spa treatment why not relax in the luxurious relaxation room or chill in the outdoor hot tub overlooking Lough Erne. /p p The hotel offers diners the choice of two restaurants namely The Lakeside Grill or Kove Restaurant. The Lakeside Grill offers a bright airy setting fit for any occasion with food served throughout the day while the Lakeside Bar invites you to enjoy a drink in the company of locals friends and guests. Kove Restaurant boasts panoramic views of Lough Erne and offers diners an extensive a la Carte menu with excellent wines to choose from at one of the best restaurants Northern Ireland has to offer. /p p When exploring the beautiful sights of Fermanagh there is no better place to stay than the Killyhevlin Lakeside Hotel & Chalets. Why not enjoy a round of golf cruise on Lough Erne hill walk angle or simply relax and be pampered. The Killyhevlin Lakeside Hotel & Chalets extends to you a warm welcome with an invitation to choose the very best that County Fermanagh has to offer in hospitality. Nestled in County Fermanagh countryside, 2 miles from Enniskillen, Dromard House offers en suite accommodation with free WiFi and plentiful parking. This award-winning accommodation is 5 minutes' drive from Lough Erne. The rooms at Dromard House are accessed separately from the main house. They all feature an en suite bathroom, a flat-screen TV and tea/coffee making facilities. Free toiletries are provided. All the rooms are individually decorated. Breakfast is available every morning in the Victorian dining room in the main farm house overlooking the garden. It is freshly prepared from local produce and guests are served at individual tables. Popular activities in the area include horse-riding, golfing, fishing and bird-watching. The property is a 2-minute drive from Lough Erne, and a walk through the woods will take guests to the lake shore. The 4-star Knockninny Country House and Marina sits on the Fermanagh Lakes, at the foot of Knockninny Hill. The hotel offers luxurious accommodation and boats and bicycles for hire. The rooms have traditional decor with dark wood furniture and cheerful prints. Each room has a flat-screen TV and en suite bathroom with a bath and shower. The property also offers a self-catering cottage, separate from the main house. The Porter House Bar & Restaurant overlooks the gardens and marina and has a casual atmosphere. The Porter Room offers more formal dining. Both offer a range of traditional Irish and international dishes, including afternoon tea. In good weather, Knockninny Marina offers boats and bicycles for hire, allowing guests to explore the islands on Lough Erne or the countryside surrounding it. Packed lunches and fishing trips are available. Indoor pursuits include a games room which offers cards or billiards and the lounge has an open fire in winter. The bar serves Irish coffees and hot chocolate. On the shores of picturesque Lough Erne, the 4-star Killyhevlin Lakeside Hotel & Lodges has a gym, a spa and an indoor pool. There is a choice of 2 restaurants, and a bar offering a range of drinks. Guests have use of the impressive health club, featuring a sauna, steam room, spa bath and spa pool. The exotic Elemis Spa has an outdoor hot tub and a range of indulgent treatments for guests to enjoy. The Boathouse Grill & Bar offers panoramic views across Lough Erne and the hotel's gardens. Silks Restaurant serves an Ã la carte menu in elegant surroundings. Each room at Killyhevlin is spacious, with modern dÃ©cor. Each room also has facilities for making tea and coffee, and a TV with satellite channels. The centre of Enniskillen can be reached in under 10 minutes by car. Belfast is 1 hour and half drive from the hotel. Westville Apartments provide luxurious accommodation in the lakeland town of Enniskillen in County Fermanagh. The apartments have free parking and WiFi for all guests. All self-catering apartments feature a fully fitted kitchen with dishwasher, microwave, oven, hob, fridge, washing machine and dryer. There is a stylish and an open plan dining area. The lounge has a 43-inch plasma TV with Freeview and large sofas, and each apartment is spacious enough for entertaining. Each has a master bedroom with en suite facilities, and an additional bathroom to serve the other rooms, fitted with deep baths and power showers. All apartments can be accessed by a lift and free parking is available on site. Westville Apartments are less than 30 minutes' drive from local golf courses and Enniskillen Airport. Modern B&B in Fermanagh's Lakeland, close to Enniskillen. Situated in Enniskillen, 5 km from Enniskillen Castle, Dromard Guest Accommodation features a garden, as well as free WiFi. The accommodation provides a shared kitchen and luggage storage space for guests. All rooms in the guest house are equipped with a kettle. Each room is equipped with a private bathroom with a shower. All units in Dromard Guest Accommodation are fitted with a flat-screen TV and free toiletries. The nearest airport is City of Derry Airport, 101 km from the accommodation. The Granary Suite at Dromard offers self-catering accommodation on a working farm just 4.6 km from Enniskillen. The unit is 5 km from Enniskillen Castle, and guests benefit from free WiFi and private parking available on site. There is a seating area and a kitchenette. A flat-screen TV is available. There is a private bathroom with a bath. Guests can take the property's own woodland path down to the shore of Lough Erne at Tamlaght Bay. The nearest airport is City of Derry Airport, 85 km from The Granary Suite. Dromard is located less than 2 hours drive from Belfast International Airport, George Best Belfast City Airport and Dublin Airport. Chalet style Lakeside Lodge on the island of Inishmore on Upper Lough Erne The Carrybridge Lakeside Lodge offers guests comfortable NITB certified tourist accommodation. All rooms are ground floor with tea/coffee making facilities tv and WIFI throughout public areas. Relax and unwind in the Ferryboat Bar or the Inishmore Restaurant. Enjoy our gastro pub style menu in the bar restaurant or eat al fresco on our terraces overlooking the river. Free WIFI in the bar area.